Barnsley are on the search for a new manager following their relegation to League One. The Reds’ two-year stint in the Championship came to an end when they were hammered 4-1 by Derby County on the final day of the season. Jose Morais’ was sacked immediately after the game, with assistants Dimas Teixeira and Joao Cunha also being shown the door. The Portuguese boss had been tasked with keeping the club up after Paul Heckingbottom’s departure in February. His pedigree as Jose Mourinho’s number two at Inter Milan, Real Madrid and Chelsea was cause for optimism for the fans. But just three wins in 15 games consigned the club to the drop and looking for their ninth manager since 2009. Chief executive Gauthier Ganaye exercised a relegation release clause in Morais’ contract after the Rams defeat. The Frenchman said: “His (Morais’) contract was written in a way that it would be terminated if we were relegated and we’ve respected the contract. “We thought it was better to get the news out as soon as possible. “He knew the contract when he signed. He knew the mission was to stay in the Championship and he knew relegation would mean leaving the club. After Heckingbottom left for Yorkshire rivals Leeds United, Reds fans wanted Mick McCarthy to take over. The ex-Barnsley player was under contract with Ipswich Town, but he left Portman Road a few weeks ago. He could drop down to League One to try and help his home-town club return to the second tier. 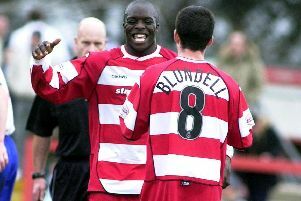 He has talked down rumours of a return to Sunderland to help them do the same and could be eying the Oakwell hot-seat. The Reds have ample time to make an appointment, after being forced into a quick decision when Heckingbottom left.